The job of keywording your images can be a daunting task. With the proper help, like the fotoKeyword Harvester™, and this exhaustive list of photo Keywording Tips, your keywording nightmares are over. The primary goal in keywording photos is to attach the words to your image that accurately describe the subject, and the more intangible concepts that your image represents, so that your image can be found by you and others in the future. An image that can’t be found or doesn’t produce relevant search results equates to missed opportunities and can over time mean thousands of dollars in lost revenue. Keywords are words that are used to describe the elements of your photograph or image. 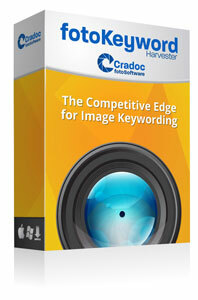 Keywording is the process of adding descriptive terms to your photos that will help the image searcher find it later. If an image can’t be found, it’s worthless. Captions describe the exact information about an image; where it was taken, when, by whom, model and property release info, etc. With keywords the approach is different. You don’t describe your image when keywording; for example, man, on, the moon. But rather you use keywords that buyers are likely to enter to find your image of a dog jumping for a ball at the beach; for example; dog, beach, water, ball, jump, play. You want to add keywords that describe the dominant subject and concept in your image. Add only the words that will help the image searcher find your image. More is not necessarily better. Keywording adds value to the photo by providing concepts and terms not included in the caption. What do I need to know about photo buyers? If you plan on licensing your images for stock sales it’s important to think like an image buyer when you create your keywords. Buyers are in a hurry to find the right image. It’s your job to make that process as easy as possible. Buyers want images that represent the subject matter of the images in a concise way, without the interference of the photographer’s guesswork or interpretation. Some buyers know exactly what they’re looking for, some have an idea of what they’re looking for, but need to see the images to find what they want. And some buyers look at images to get ideas. Buyers who are looking for images for a commercial use think in different terms than photo buyers for editorial use (see below). Know what your market is for each image before you begin keywording. It will make a difference in the words you choose. What is the subject in the image? Where was the image taken (if important)? Who is in the image (if news worthy)? When was the image taken (if significant)? Why is the image of interest or importance? Limit keywording to what is in the image. Include the information you need but don’t add too many descriptive keywords. Publishers will know exactly what they want for an editorial use. Editorial buyers usually know exactly what they want or need. For editorial use be thorough in your captioning, and use minimal, but precise, keywords. Concepts are not as important to the editorial buyer. 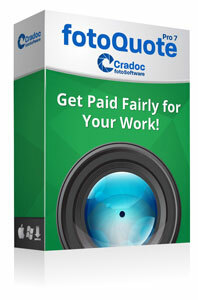 If you want the information in your caption to be part of your keywords to help the editorial buyer find your image you can add the entire caption into the fotoKeyword Harvester, and then delete the words that are not used in a keyword block such as: name, agency, image ID, or any personal information. The money in stock photography is generally in advertising – although unique news and celebrity images can be valuable. Your keywords for editorial images are usually about the subject. For advertising the valuable keywords will often be about the concept of the image. Advertising clients are trying to link the emotion or concept shown in your image to their product. If your image is strong, and the message in your image is clear, simple and specific, and if your keywords successfully point to that message or concept, you have an image with great potential as a successful stock photo. Commercial researchers don’t want to just know the facts; irrelevant details can get in the way. This is when the concepts you’ve applied to your images pay off. What emotion is conveyed by your image? What are the image’s key attributes? Is there a single dominant theme or concept in the image? For commercial use be thorough in your keywording and keep your caption short. Often times information in a caption is not even used in keyword searches. How many keywords should I include? Be thorough with your keywords. The definition of thorough is this: You want to add just as many keywords as you need to make sure that your images will be found. Be specific and selective with your keywords to truly match what image searchers are looking for. Too many keywords may actually dilute the chances of your image coming up in a search; more is not necessarily better. Usually, 10-25 relevant keywords will suffice. When you add the plurals and synonyms and related words in the fotoKeyword Harvester, or you submit your images to an agency that automatically adds the plurals, synonyms, and stemming, the final number of your keywords will be much higher. From the research we’ve done anything over 50 keywords is probably overkill for all but the most detailed or symbolic scenes. Whether adding more keywords increases the odds of your image coming up in a search is debatable. Too many keywords can clog up or dilute a search result, creating returns for the buyer that are not what they need. This will waste their time, and not endear you to them, or to your stock agency if that’s where they’re searching. You’ll have to decide for yourself how many keywords work best for you. Some stock agencies are limiting the number of keywords allowed per image. Check with your agency for information. If you’re cataloging your images for in-house use, the most important thing to do is to think like the photo searcher. What keywords do you think a person in your company, school, or library would use to find the images later on? What are concepts and attributes and how do I use them to keyword? A concept is a term that describes non-concrete aspects of your image, an abstract idea. Concepts are used by advertisers to sell their product with the use of your image. They want the consumer to think of something specific when their product is thought of. For example: Wells Fargo Bank uses images of cowboys, wagon trains, horses, and the wild west to promote their business. The concepts for these images are: excitement, freedom, trust, historic, strong, powerful. An attribute describes the characteristic or quality of the image, not the content. It is a quality or feature regarded as a characteristic or inherent part of someone or something. Use attributes and concepts selectively. If these words are overused when you keyword your images they become meaningless. For example, not every image of an American Eagle should include the concepts freedom and power. You must select the dominant concept of a photo, and exclude the weaker secondary concepts or they may confuse the person searching for images. Include synonyms that convey the same thought and emotion as the one single dominant concept. Steps to Photo Keywording There is no one set way to keyword, but it will help if you to come up with a routine that you always follow when keywording; a step-by-step method that will make sure you’ve thought of all the elements in the image. Remember to think like the photo researcher; what words will they use to find your image in the future? A good way to approach keywording is to think in terms of the Who, What, Where and When and How of your image, and then break that down into categories. Many of the words you’ve included in your caption can be included in your keywords, so take your time to come up with a caption that describes your photo in a precise way. First add the most specific physical elements, then the descriptive, working your way down to the most general. Only then do you add the concepts. The list of questions below is a starting point. 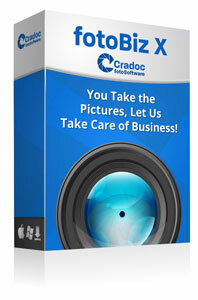 Create your own list as a reminder of all the aspects of an image you want to keyword. Use the controlled vocabulary in the Keyword Composer™ to refine your keywords. What do you literally see in the image? What is in the image? What are the technical details of the image? What are the image’s attributes? Creating a checklist like the one above will ensure you’re methodical and consistent with your keywording. An example of keywording an image: As an example, let’s say you need to caption and keyword a photo of a man and a woman driving a car along a crowded smoggy highway. Their faces show frustration about being stuck in traffic. There’s a cityscape of San Francisco in the background. Your targeted market is commercial. A man and woman sitting in car stuck in traffic in San Francisco, California. Color, wide angle, San Francisco, California, United States, urban, city, highway, driving, smog, traffic, gridlock, pollution, exhaust, automobile, car, transportation, crowded, waiting, interracial couple, 20-25 years, Caucasian, female, adult, African American, male, frustration, anger, impatience, stress. Keep in mind that it’s not good to use reverse psychology when keywording. For the example above do not add: mass transportation, electric car or alternative energy. If you’re submitting your images to a stock agency you’ll want to find out if they automatically add the plurals and synonyms to your image. 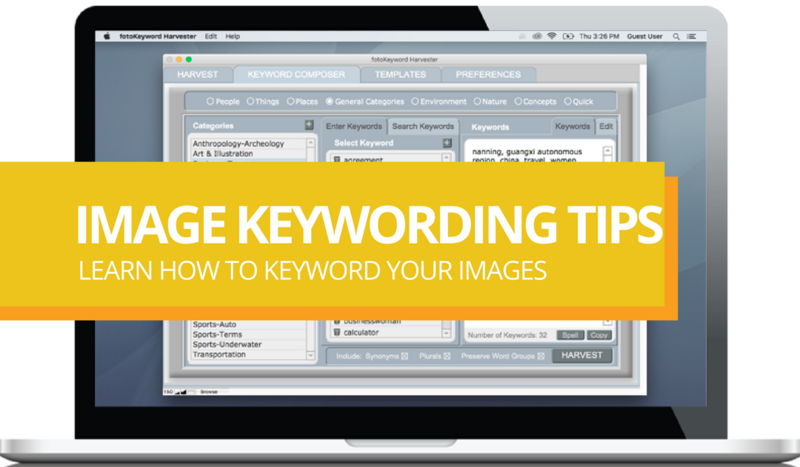 If your images are going to used on your web site or in-house you’ll want to refine your keywords using the controlled vocabulary in the Keyword Composer™ and the plurals and synonyms will automatically be added for each keyword you select. You can also edit and add more synonyms to the program. If the keywords you are using mean the same thing when entered as individual words then separate them (red, boat). The image will still be found if the buyer puts in “red boat” as the search phrase. But if the words must be grouped together to get a specific search result (orange juice, license plate), be sure and preserve them in a keyword group. This means you will not use the individual words, license, and plate, since those search words would bring up very different results for the photo buyer. Keep proper names grouped together (Nelson Mandela) as well as locations (Grand Canyon, Empire State Building). You can also include the individual words if it will help the search (Colorado River, Colorado, river, rivers). Spell check your keywords! But you may also consider including the wrong spelling of commonly misspelled words: foreign/foriegn, category/catagory, arguement/argument. Use a comma or semicolon to separate your keywords. Use literal and conceptual keywords. Use alternative international spellings (gray/grey, neighbor/neighbour). Use synonyms but be careful not to dilute your keyword block too much. Use the keyword “people” for any images with people in them. Use gerunds, and include the verb (swimming, include swim). Use the present tense (create). Most buyers do not search in the past tense (created). Separate different versions of a word with a comma (dog, dogs, puppy). Separate different spellings of a word with a comma (grey, gray). Think like a photo buyer. Limit the number of keywords to speed up searches. Capitalize proper nouns; names and locations. Add the country the image was taken in. Add stemming (adore, adoring, adoration and celebrate, celebrating, celebration). Add the term “copy space” if the composition will allow for type in an ad. Apply keywords consistently (scubadiving vs. scuba diving or use both). Avoid unnecessary adjectives (like “big” is not necessary to describe a whale). Avoid adverbs. Use slow instead of slowly. Avoid keywording for marginal or non-existent content of an image. Avoid words with two meanings. Remember the obvious: add dog along with dachshund, add flower along with daisy. Don’t keyword insignificant objects in the image. Don’t go overboard. Less is better. Don’t describe every detail in the photo. Don’t include your name, agency, city, image ID, or any personal information. Don’t use special characters (!, &, -, () and quotes “). Don’t punctuate at all (except for the comma or semicolon in between the keywords). Don’t use periods to separate your keywords. Don’t repeat keywords. It doesn’t help. Don’t enter the dates of the images except for historic events. Don’t include keywords that don’t describe the image. Don’t use reverse psychology (image of large family for birth control). Don’t use superlatives (best, newest, kindest). Don’t apply human attributes or emotions to animals. Don’t add names unless its a celebrity or noteworthy person. Don’t include prepositions (on, with, and, or). Don’t separate phrases like Lincoln Monument into individual words. Don’t use trademarked names (don’t use Nike to describe a sneaker). Gender, age group or range, role and race, (female, elderly, mother, caucasian). Physical traits (short, fat, bald, tall). Accessories if important to image (computer, telephone, book, desk). Latin terms for plants, birds, animals, etc. The date for news event (John F Kennedy, funeral, 1966). Animals if important part of image (dog, mammal, whale). The number of people (couple, single, alone, three). Variations on a name like President Carter and Jimmy Carter. Technical aspects of the image (horizontal, vertical, portrait, b&w). The perspective (underwater, aerial, space). Other attributes (warm, blue, calm). Special effects (long exposure, fisheye). Ethnicity and nationality (Chinese, multiracial, Native American). Relationships (daughter, mother, sister, granddaughter). Natural events (earthquake, flood, storm). The main category (science, architecture, fashion). Moods and emotions if important to the image (scared, joyous, mad). Weather, season and time of day if important to the image (rain, fog, sun, winter, spring, dawn, nighttime). Good luck with keywording your photos. We hope these tips have helped you.